#Whattheheck are #hashtags and how should you be using them? 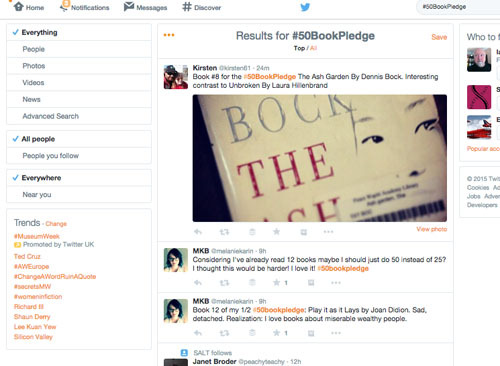 Hashtags started life on Twitter, as a way for people to find tweets on a specific topic. A kind of search tool, if you like. The habit caught on and hashtags are now routinely used to organise conversations around a specific topic or event. This might be anything from a scheduled Twitter Chat, to a news story, sports event or a conference – you name it. 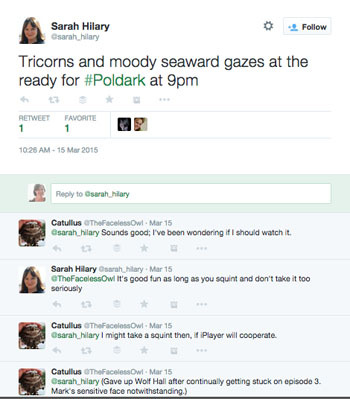 You’ve probably seen them on your TV screen when a show is on – #poldark for example. When you see a hashtagged word like that, it means ‘follow this hashtag on your social platform of choice to see and join in the conversations going on around it.’ And it’s not just Twitter these days – hashtags are used on most social platforms. Event organisers routinely use them to facilitate attendees connecting with one another, before, during and after the event. I’ve experienced this often – if you go to an event where you don’t know anyone, you can identify other attendees by their tweets using the event hashtag. It’s a useful ice breaker. Hashtags are great for following topics long-term. For example, I have a permanent stream set up on my Hootsuite to monitor the hashtag #poetry, and another for #writetip. You can join in by using established hashtags in your own updates – it brings you to the attention of others following that hashtag. Think about it – without any filtering, your Twitter stream is a hosepipe of updates on every subject possible. How do you get to see the updates you’re interested in? How do you join an existing conversation around a topic? How do you find other people interested in the same topics as you? One answer is to follow a hashtag. When you attach a hashtag (#) to the front of a word (or phrase, but with no spaces) on Twitter or Facebook, it’s turned into a hyperlink, meaning it’s clickable. 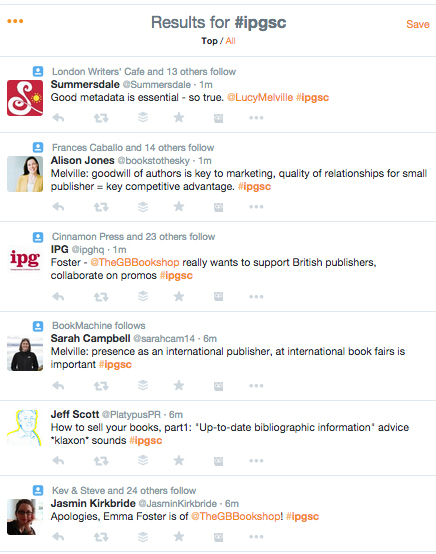 When you click on it, you’re presented with all the updates containing that hashtag. This includes upates from people you’re not following, and this is important: hashtags don’t just filter your home stream, they are a way of connecting with other people using the same hashtag – whose updates you wouldn’t otherwise see. If you’re using Twitter on the web, click on a hashtag and you’ll see all the tweets using that hashtag – but you also have a number of choices on the left hand side of the page – the default is ‘Everything’, but you can search for just people, videos, news stories etc or even more specific criteria in an ‘advanced’ search. If you want to save a search, hit ‘save’ (top right of search results column) and you can return to it anytime but clicking inside the Twitter search box – a list of your saved searches will come up, just click on the one you want to retrieve. Another neat thing you can do is to embed your search results in a Twitter widget on your blog’s sidebar. You might want to do this, for example, if you’ve created a hashtag for your new book release, or are attending or promoting an event, or involved in a news story, and you want your blog visitors to see the conversation. Click on the three little dots top left of the search column and you’ll be prompted to ’embed this search’. This takes you to a screen where you can customise your widget. I’m often asked if hashtags are ‘governed’ in any way. Can anyone create a hashtag? What if it’s been ‘taken’? The answer is it’s a free-for-all, in that anyone can create a hashtag, and if it’s already in use then that’s your lookout! It’s best to check first by doing a search on your chosen hashtag. Something that can be an issue is multiple hashtags for the same thing, which results in a number of parallel conversations – not ideal. This is why TV companies, publishers and event organisers often make an effort to promote the ‘official’ hashtag, before too many unauthorised versions come into play. If you do create a hashtag and want people to use it then you have to encourage take up – by using it frequently, attaching it to relevant retweets and so forth. It’s a good idea to keep your hashtags short if possible, allowing space for retweet, otherwise they may get cut. This is also a good reason not to use TOO many hashtags in one update. Using more than one is fine, but if they’re long they don’t leave much room for anything else. Hashtags stand out as links, and can add interest to a tweet in the same way that regular links do – research suggests that updates containing links (including hashtag links) get shared more than those without any links. Another way you sometimes see hashtags used is as a sort of ironic comment, or as a way of getting a point across, or being funny – such as #whatwashethinking or #lazyediting. These kinds of hashtags tend not have much of a shelf life and are really just created as one-offs, for effect. Of course, sometimes they catch on – you just never know!